Windows Vista has yet to make its mark on computer sales, but Apple's market share is expected to go down when people start upgrading their Windows machines over the coming months, a new report states. Apple 's loss won't be huge. According to research company Piper Jaffray , its official market share in December 2006 was 2.5 per cent - this is expected to drop to 2.3 per cent in March's sales figures. In a research note, senior analyst Gene Munster said that while a survey of US retail stores found that Windows Vista sales had not met expectations, PC sales had still increased as a result of the operating system's roll-out. "Of the 50 stores we surveyed, 80 per cent indicated that they have sold less copies of Windows Vista than they had expected," Munster wrote. However, he added that at the same time 72 per cent of the stores had seen an increase in Windows PC sales since the software launched. Munster is anticipating a boost in Windows PC sales during the quarter from March, which "could put downward pressure on Mac market share". A negative effect on Apple sales isn't expected, however; quite the contrary. Munster stated that disappointment with Windows Vista and its difficult installation process could drive people towards Apple Macs. Nevertheless, Apple's market share is set to drop since the increase in sales of Windows PCs is expected to be even higher. 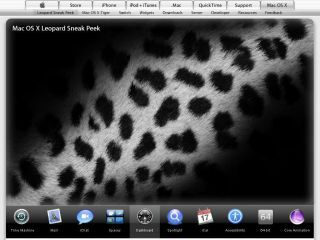 Munster also pointed out that Apple's forthcoming Mac OS X 10.5 Leopard release is likely to benefit Apple Mac sales. He said he expects 40 per cent of Mac users to upgrade to Leopard in the first year of availability. "Assuming a late April launch, this would lead to Leopard sales adding $130 million to the June quarter, and shipping about 9 million copies in the first year," Munster wrote.